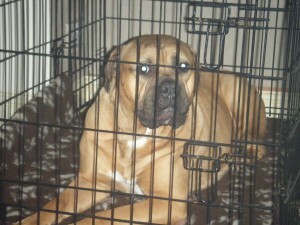 Keisha was another dog which was dumped after her owner was sent to prison. She is a very loving and carefree girl. She found her home with Becky and her young family and now lives in the peak district.